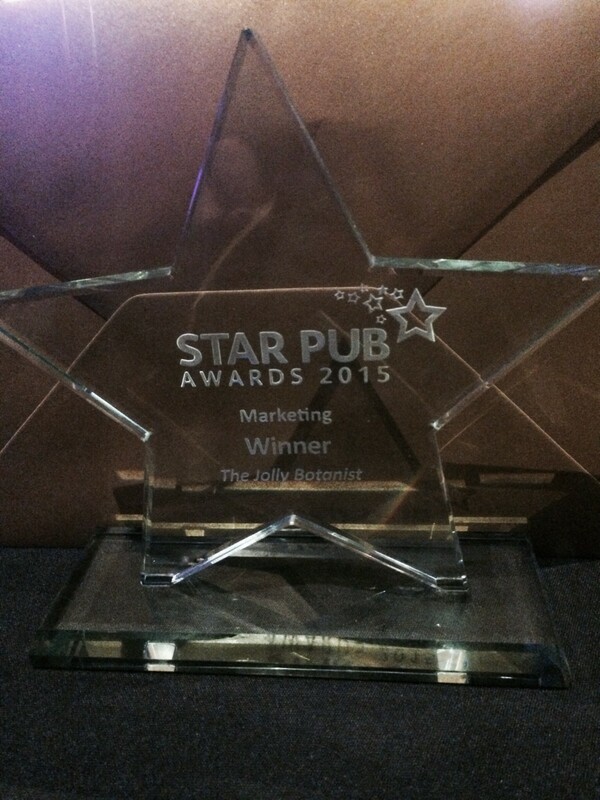 Delighted to announce we were given the Star Pubs award for Marketing at the recent ceremony. A lot was riding on marketing to help deliver returns when Iain Pert and Gordon Gilhooley undertook a massive investment in Edinburgh earlier this year, creating the Jolly Botanist gin bar and dining room. The partners have run a flawless campaign from the creation of the brand and its distinctive logo to their ongoing marketing and promotions. Across all channels, from chalkboards to social media, the focus is on engaging and interacting with customers. The programme is a textbook example of how a low-key approach can drive sales with incredible effect.